What a unique, simple gift for her Sweet 16! A 3/4" sterling silver disc is hand stamped by me with 16 tally marks. I can customize this for any birthday, however, just leave a note at checkout with the age, along with the first initial you'd like stamped on the 1/2" sterling silver disc. A sparkling Swarovski birthstone hangs with the two personalized charms, and the silver discs are finished with hammered edges and a light, brushed finish. Everything comes on a sterling silver cable chain in your choice of length. To order, choose the length of necklace you'd like from the dropdown menu, then add the item to your cart. 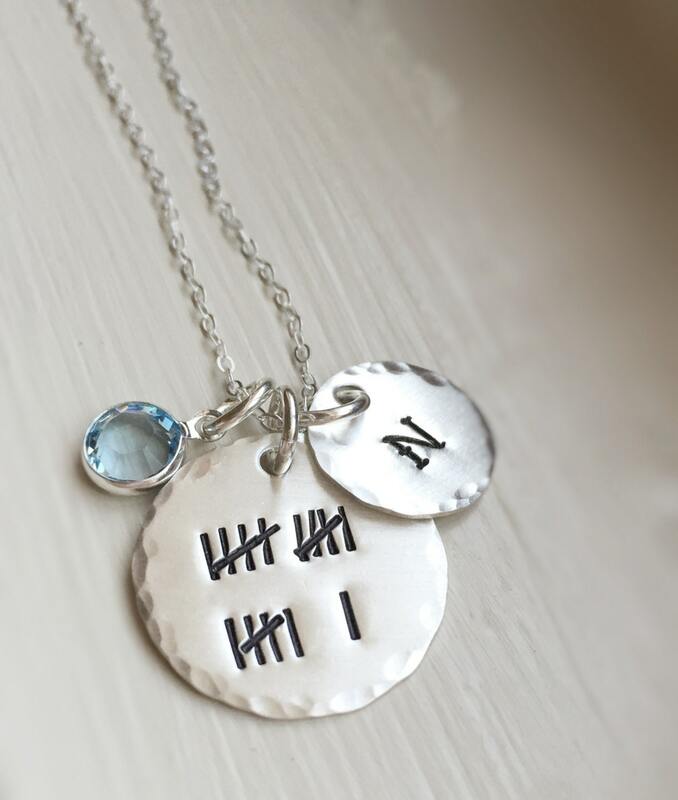 In the "notes to seller" box at checkout, you can provide me with the age and the first initial for the necklace. Your new necklace will arrive in a gift box ready to give, or keep as a gift to yourself. 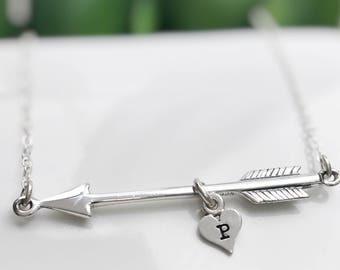 This item is hand stamped by me, so while every letter and impression may not be perfectly matched, this is considered part of the charm of hand stamped metal and should not be considered a defect. Your item will be lovely and truly one of a kind! More great personalized gifts and handmade jewelry items are available in my shop. Please feel free to browse!